Sometimes I get an idea for a recipe stuck in my head and I just have to make it. 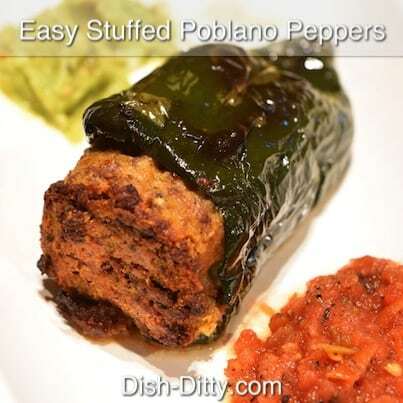 That’s where I came up with this recipe, my Easy Stuffed Poblano Peppers Recipe. Or as my friend Michele would like to call them: Easy Peasy Stuffed Peppers. I have been getting the vegetable and fruit delivery from Imperfect Produce for a couple months now and one of the things that has been fun is trying to figure out what to make with the produce that I normally wouldn’t pick out at the store. Yes, I can pick exactly what I want to purchase, but sometimes I forget and I get things that I just don’t use on an every day basis, like Poblano Peppers. I love to cook, but sometimes I get in ruts and I don’t always branch out and try new things. This is the first time I’ve ever had poblano peppers in my kitchen. But for some reason, I had this recipe stuck in my head. I think it’s because my father’s caregiver had brought my dad some Chile Relano (Filled chili peppers) that his wife made. They were stuffed with a delicious mixture of chicken, carrots, tomatoes and onions. I think the base for that was similar to my Mexican Shredded Chicken Recipe, but with the added carrots and more onions. 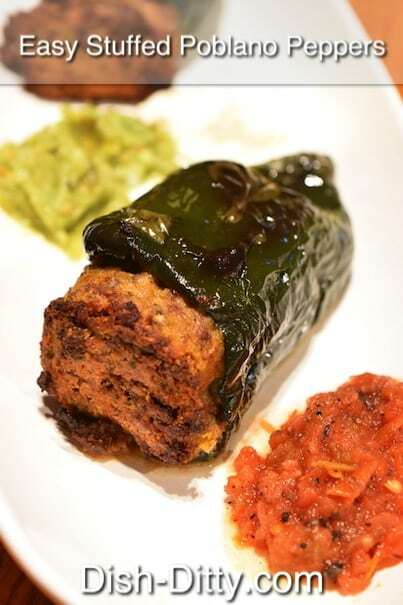 I had only seen Chile Relano in Mexican Restaurants stuffed with cheese and then fried, so when I saw his wife’s version stuffed with chicken, a light bulb went off. They still battered and fried theirs, which I need to avoid, but it gave me the inspiration. That and I really needed to use up some of those peppers and I had a bunch of taco meat just sitting around. So, Voila! this dish was born! I loved it. It wasn’t spicy but was a delicious blend of flavors. I hope you love it too. Enjoy! Prepare your peppers by slicing off the tops, removing the seeds and white veins. Wash and then dry with paper towels. Set aside. In a pan, sauté the taco meat with the breadcrumbs and cheese (add a pat of butter or a splash of olive oil if your taco meat is dry). Cook until it is combined and can form a meatball. Remove from heat. Spray a baking sheet with olive oil spray, stuff the prepared peppers with the prepared meat, place on the baking sheet and spray the peppers with olive oil spray. Cook in oven on Roast at 425 degrees for 7 minutes. Flip the peppers, spray with olive oil spray and cook another 7 minutes. Remove from heat and serve. 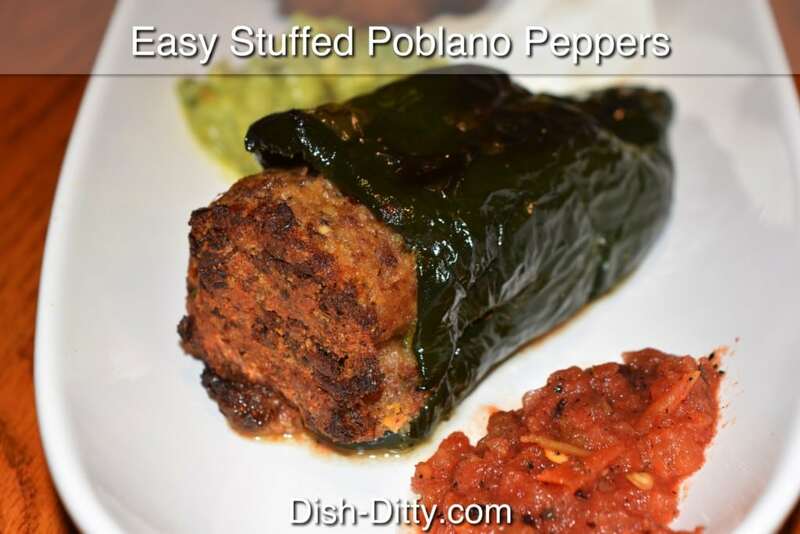 No Replies to "Easy Stuffed Poblano Peppers Recipe"